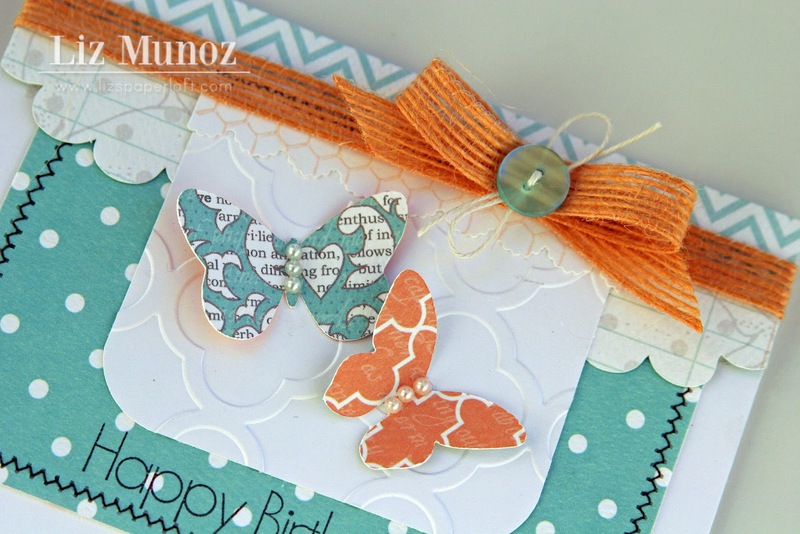 Liz's Paper Loft: Happy Birthday ~ Card! Hello my crafty friends! First of all to my east coast friends, I hope you've weathered the storm and are safe! As crazy as it sounds, here in California it was mid 70's. I can't believe it's the end of October with this warm weather! Today I wanted to share a card I made for a "new to me " challenge blog, Deconstructed Sketch No. 75. If you've been living under a rock as I have, go check out her great sketches! 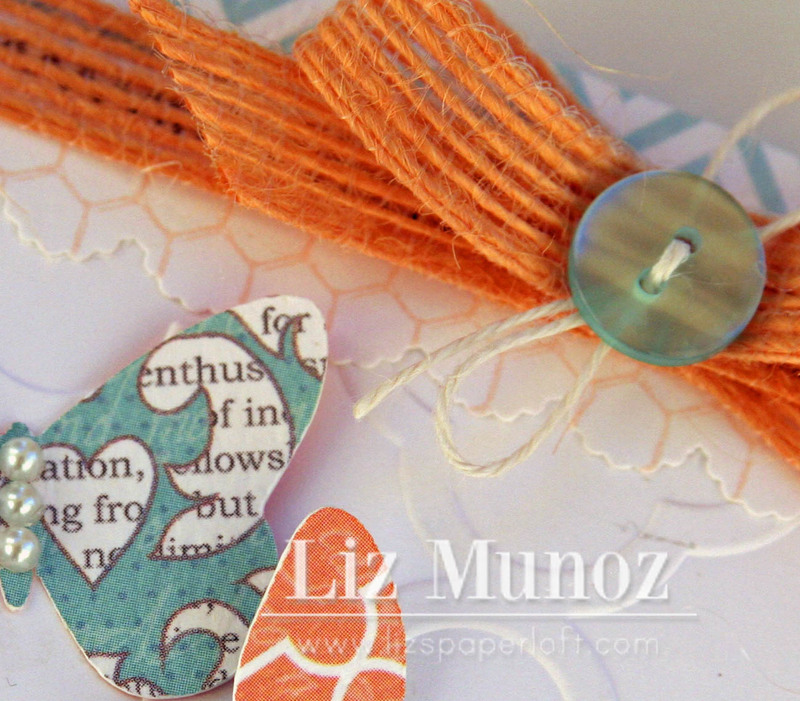 It's hard to see, but I stamped the chicken wire background on a small border attached under the jute. I'll be back tomorrow with two posts! What a GREAT card Liz! Love the color combo!!! Beautiful! i love those TC papers you've been using! Such pretty colors!!! Beautiful card! Love the sewing and all the embellishments! wow SO pretty Liz! I thik I have been living under a rock! 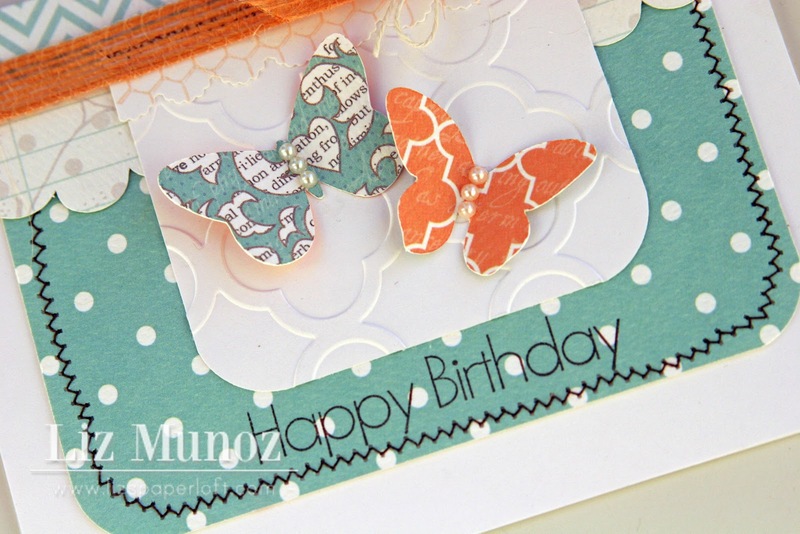 I will have to check it out :) THose colors together with the butterflies is simply adorable! This is super gorgeous...love that ribbon! Peachy Keen ~ Out of Candy! 3D Wednesday ~ Pop Up Christmas Card! Monday Hop ~ Happy Thanksgiving! Best Witches ~ Treat Bag! 3D Wednesday ~ Snowflakes from Heaven! Monday Hop ~ Give Thanks and Winner!!! Everyday Cricut Day 5 ~ Christmas Shadow Box! Everyday Cricut Day 4 ~ Christmas Card! Day 3 at Everyday Cricut ~ Happy Thanksgiving! Everyday Cricut Day 2 ~ Masculine Birthday! Monday Hop with EAD Designs ~ Merry Christmal! 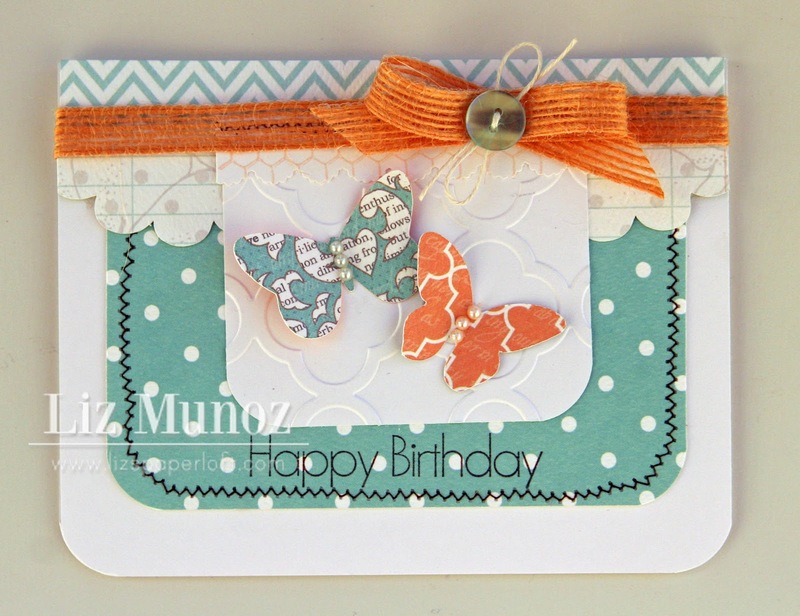 Featured Designer ~ Queen Bee Card! My Creative Time's 3D Wednesday ~ Fall Decor! Monday Hop ~ Oh So Scary Home Decor! Monday Hop with EAD Desings ~ Masculine Card! Scrappy Monday at My Creative Time!